We understand. You are not alone. You do have choices. The Survivor’s Handbook – indepth advice about finances, housing etc. with translations in different languages. The Survivor’s Forum – share your thoughts and feelings with other survivors. Support for children who may be experiencing domestic violence. The Hideout is the first national website to support children and young people living with violence at home. The Respect Phoneline Freephone 0808 802 4040 offers information and advice to domestic violence perpetrators, their (ex)partners, friends and family and to frontline workers who come into contact with perpetrators in their work. The MALE helpline provides a range of services aimed primarily at men experiencing domestic abuse from their partner. 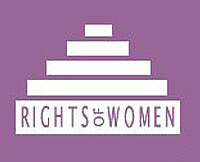 Empowering women to access their legal rights.